Hello all. Roughly 2 weeks ago I purchased a frag of assorted zoas from the lfs. All heads were fully open in their tank. Since then I've only seen one head fully open (far right in pic). My lights are set lower than the lfs frag tank so I know that isn't the issue. I've tried various locations in the tank with differing flow and always achieve the same results. Tomorrow I plan to drop by the store and get a bottle of ReVive, I hope it will help restore these zoas. In the meantime, does anyone have ideas what my issue is? Tank contains other zoa and paly colonies, gsp, and montipora. All are showing good growth and are thriving. Water parameters: NH3 0 ;NO2 0 ;NO3 <5 ; phosphate 0; salinity 1.026. Thanks in advance. Just leave them alone for a week or so. Coral don't like being handled and moved around. and as roger mentioned let them acclimate, stop moving them, they cannot adjust to new conditions if the conditions keep changing. Zoas do like dirtier water. I have a mixed reef and keep my nitrates around 10ppm. Everything is growing nicely. Just a little update on this thread for my own journaling and anyone who cares to follow along. I dipped the frag in question with both fresh rodi (ph corrected) and reVive over the course of roughly 10 days to no avail. The polyps aren't looking worse so I'm not too worried, and some seem to be dividing so I have to wonder if this particular strain of zoa naturally has a wavy skirt. I'll wait it out and see what happens. 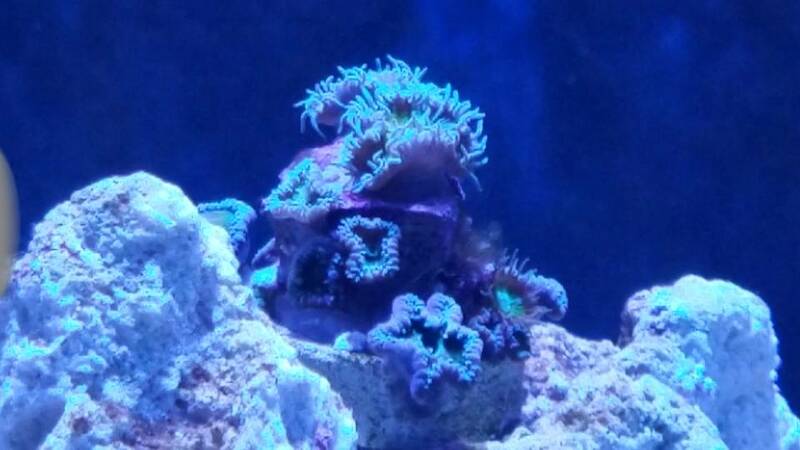 They came from a tank with hydra 52, I have some hydra 26 on my tank and did acclimate them over the course of a week to higher whites than the frag tank they were in. They are starting to look better after a freshwater dip i did a week or so ago.